Your Delaware and Maryland Geothermal Experts! Here at Weber Well Drilling & Geothermal, we take a lot of pride in being your Delmarva Expert. But we started thinking....what does that mean to you as a homeowner? As homeowners ourselves, we know first-hand how critical it is to be able to trust any contractor doing work at your home. It is even MORE important when you consider the investment of a geothermal system installation. So what really makes us your Delmarva Expert for Geothermal and Well Drilling? Another important aspect of construction is to be able to have confidence in your contractor. Our customers know that we do what we say and honor what we tell them. After all, if we don't know what you need, then how can we meet your expectations, and how could you ever have confidence in our company? If we don't ask you what you want, how can you be sure what you'll get? What about all the questions you don't know to ask? We have a tremendous responsibility to our service area, which covers the entire Delmarva Peninsula, and we take that very seriously. We have people calling every day with questions regarding geothermal installation and water wells. Many are unfamiliar with well drilling or geothermal but we expect that and have educated ourselves to be in a position to help them. When you contact us via phone or email, you will only speak to Jennifer Savage, Director of Operations or Eric Sackett, Lead Driller and Production Manager. As a consumer, you should be able to get a solid estimate for the cost of drilling without getting any runaround. We have flat rate pricing and can give you a quote right over the phone or via email. All of our systems come with a 5 year parts AND labor warranty....always have, always will! So you see, being your Delmarva Expert is much more than just some title...it is a big responsibility we try hard to live up to every single day...and we are proud to do it! Here at Weber Well Drilling we also pride ourselves in being the "Company with a Conscience". 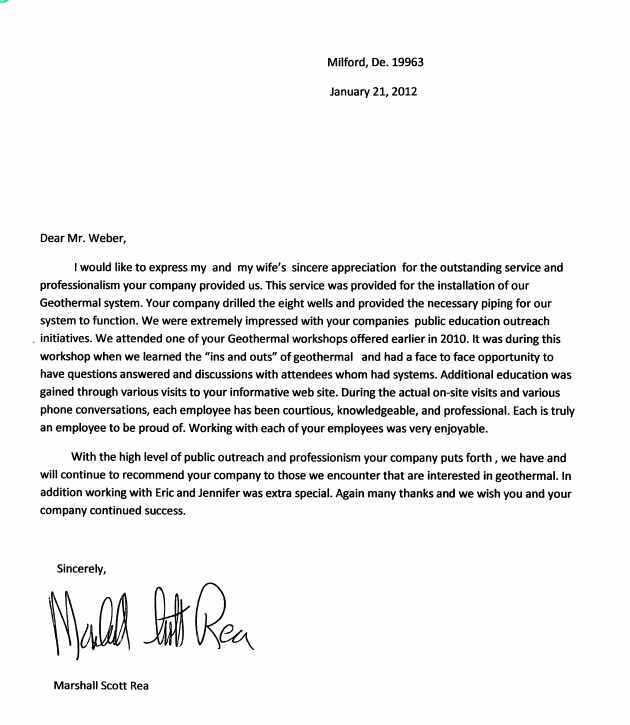 It is essential to us that our customers are happy with our work as well as knowing what to expect when signing up for a water or geothermal system. Educating our customers is the key to meeting these expectations. Our philosophy is simple…better education ensures happy clients and successful projects. Weber Well Drilling & Geothermal was started in 1977 in Dagsboro DE. We have been serving Sussex County and surrounding areas with residential geothermal well drilling and water well drilling such as domestic wells and irrigation wells. In 2003 our commercial team was developed to tackle large geothermal installations for schools and public buildings and as a company, both our commercial and residential teams have expanded to include the entire Delmarva Peninsula in our service area. Our mission at Weber Well Drilling & Geothermal is to provide our employees with an honest and educated working environment, where every employee individually and collectively, can dedicate themselves to providing our customers with exceptional workmanship, extraordinary service, and professional integrity, thus exceeding our customer’s expectations and gaining their trust through the performance shown by every member of our team. Our commitment to this mission will allow Weber Well Drilling & Geothermal to continue to be a leader in providing value-added drilling and geothermal services to our customers. IGSHPA Installer Certification - Employees of Weber Well Drilling & Geothermal are certified by The International Ground Source Heat Pump Association (IGSHPA). IGSHPA is a non-profit, member driven organization established in 1987 to advance geothermal heat pump (GHP) technology on local, state, national and international levels.